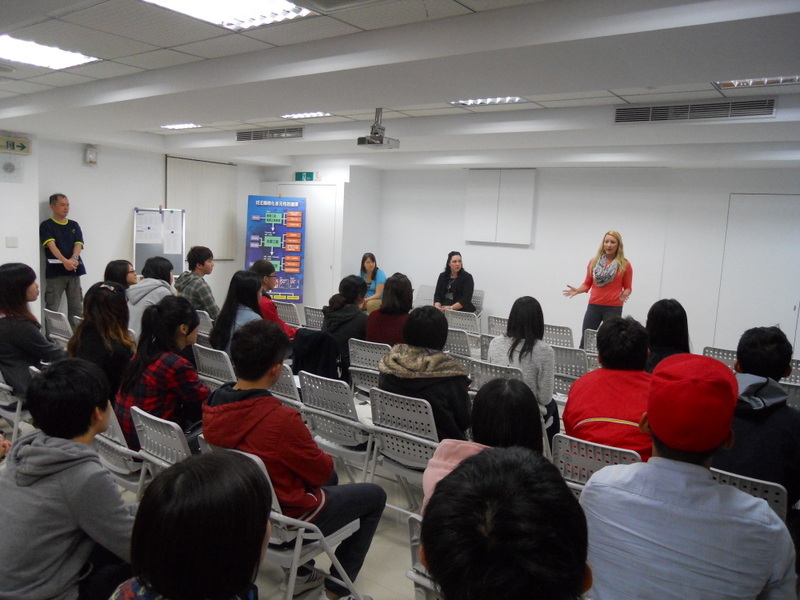 As most of you know, the purpose of this trip to Taiwan is for Ashley and I to hire around 100 Taiwanese students to work for Yellowstone General Stores. 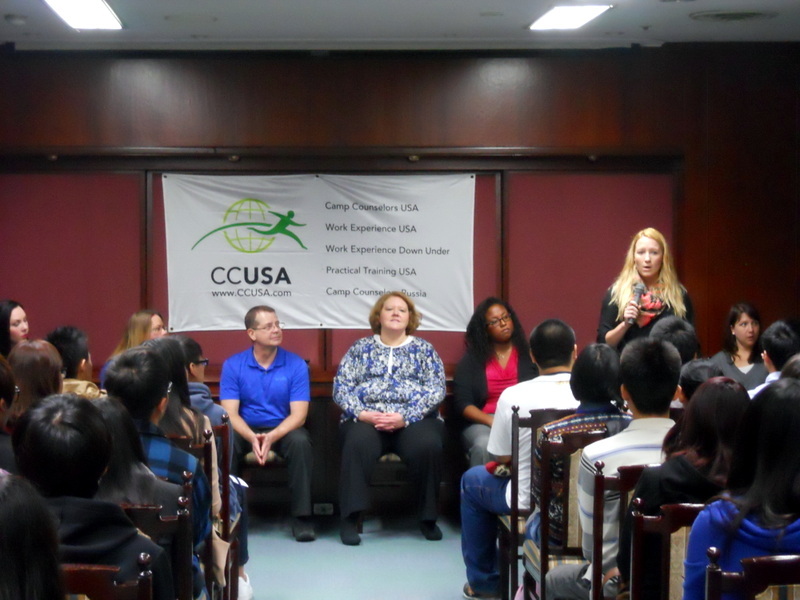 The students study English for years and they go through an extensive screening process with CCUSA. 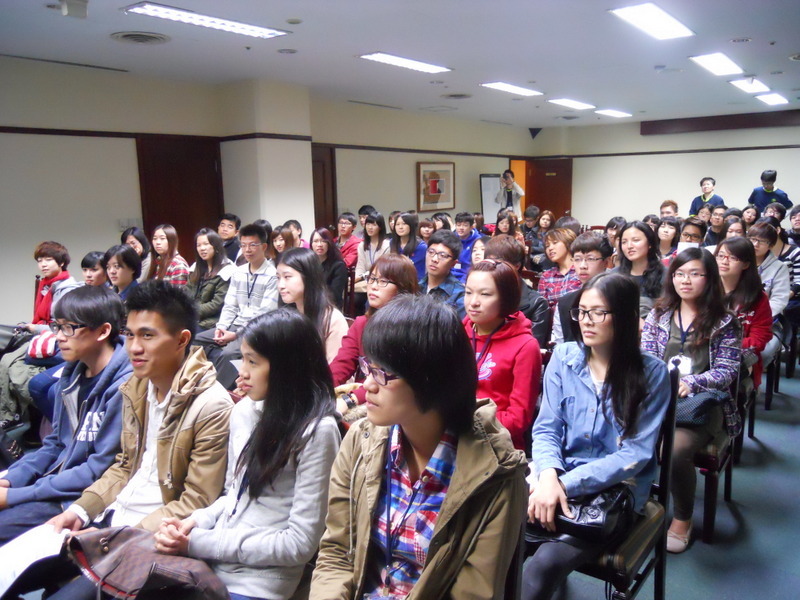 Many of the students have traveled to the United States once or twice but this will be the first time for most of the students so they are very excited and nervous. We held our first round of interviews at the Howard Hotel, where we were staying. There were a few other employers at the job fair, including Dorney Park, Boyne Resorts, and Kings Dominion. Albert introduced us and we each said a few words about our unique locations. The Taiwanese students are fascinated with wildlife so I told them about the bears, bison and how beautiful Yellowstone is. Ashley and I interviewed the students in groups of four. I asked the questions and Ashley took notes/ distributed the job offers in the AM sessions and we switched in the afternoon. 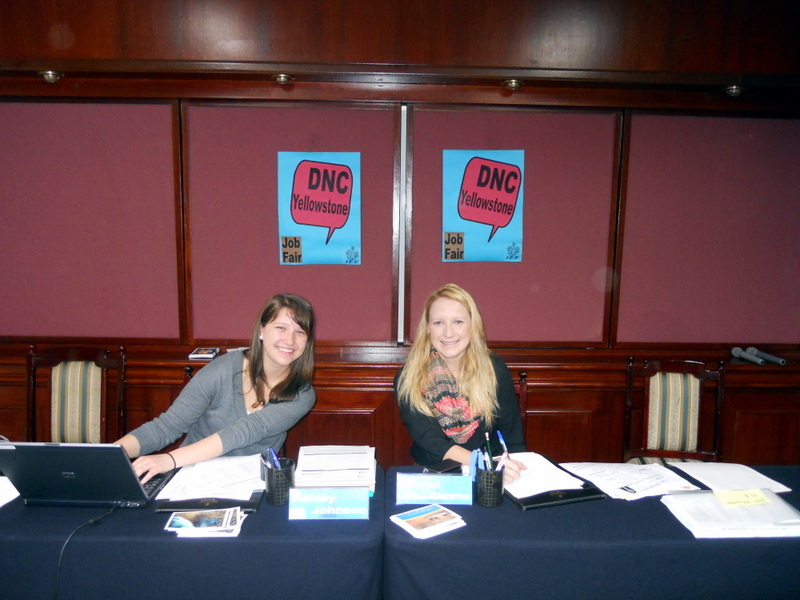 We had two wonderful assistants from CCUSA – Sophie and May, who were a HUGE help. Thanks again, girls! Sophie is sitting next to me and May is on the far right in the below photo. We headed down to the CCUSA office for the second day of interviews. We had a much smaller group of kids so a microphone wasn’t necessary. Apparently without a mic, I turn into a serious hand talker. 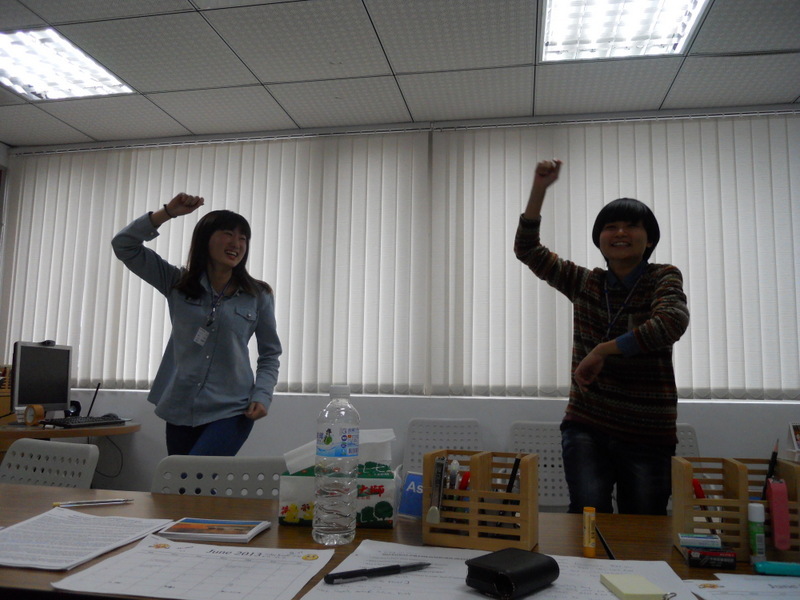 Two of the girls also performed the gangnam style dance for us which was pretty amazing. We ended up hiring 99 students to come work for us this summer. Thank you so much to Jamie Lynn, Albert, Sean, Aaron, Angel, Sophie, May and everyone else at CCUSA!